In an effort to offer a slightly smaller size in the GMC Acadia SUV, the 2017 version of this SUV was revamped to give us the size and the look that we want to enjoy. For the new, 2019 model year, the Acadia is upgraded to offer several features that we want when heading out for a drive. This new version of the Acadia allows you to enjoy the ability to have five, six, or seven-passenger seating configurations that make this a versatile SUV that you can enjoy on the road. 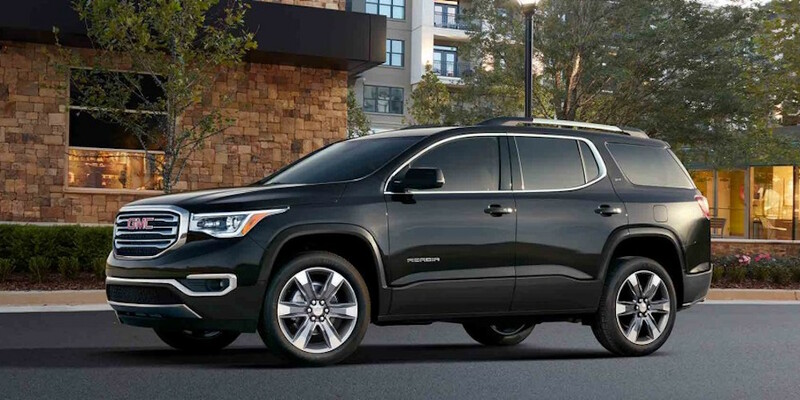 Although there are several different midsize SUVs that you can choose for the drive, there aren’t many that are as distinctive as the GMC Acadia. This SUV now has an urban appearance, an extensive list of excellent safety features, the connectivity you’re going to love and admire, and plenty of room inside. If you’re looking for an SUV that’s comfortable heading to the ski slopes or driving around town to complete the errands you have every week, the Acadia is one that can certainly handle the job and give you what you’re looking for. The GMC Acadia makes it easy for you to have a great drive on the road. This SUV may look rugged and tough, but it’s smooth and supple on the road to make sure you can take the kids out and let them experience a smooth and supple ride. The new 2019 version of the Acadia brings you upgrades with new paint colors, wheel and tire options, and a new Black Edition that you can choose. With these impressive changes, you’re going to have the SUV that you want to drive every day as you plan your next adventure. The GMC Acadia is built with a continuously variable ride control system that makes it easy for you to have the drive you’re looking for. This system uses a magnetic fluid that allows the shocks to instantly shift from soft to hard, based on the road conditions and the way you drive. Each wheel is adjusted independently to offer the ride you’re looking for. There’s also an all-terrain mode that makes this SUV one that can easily head out to the trails and have some fun when you’re looking for adventure. When you talk about the GMC Acadia, many people pay attention. This is an SUV that has been the mid-level model that garners the attention you expect when it’s time for a great drive. Check out the rugged performance, quality features, and the smooth and confident drive that can make this SUV the right one for you. Stop by and see your nearby GMC dealership today and take a test drive in this SUV. You’re sure to agree that this is the perfect choice for you to have the driving experience you’re looking for, no matter the destination.